Just imported from Thailand's "Hand Brand" this is the best dried lemongrass and it's quite useful in cooking various soups, tea, etc. Nice fragrance. New package has resealable ziplock. Reg price $3.29 get some for $1.50 this week only. Lemongrass is one of the spices that make Thai food, and various Southeast Asian dishes, unique. Use it in a range of different recipes, and enjoy the wonderful taste & aroma. This citrusy lemon grass from Thailand can be reconstituted with water and thrown into stir-fries, and other dishes that require lemongrass however fresh should be used whenever possible. 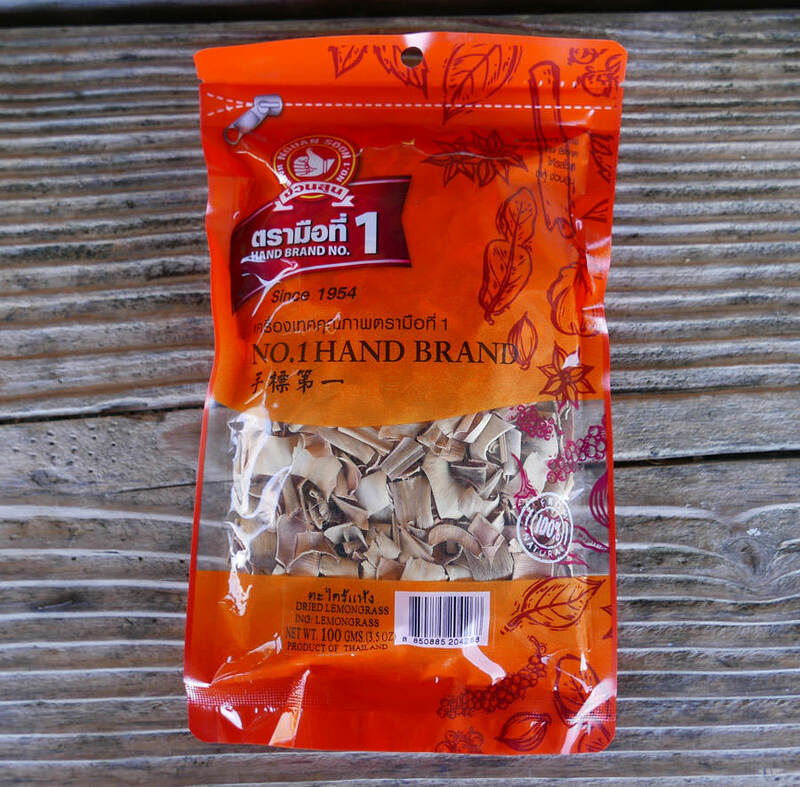 Thai lemongrass has a bold citrus flavor; and this is grown and dried by a state-of-the-art facility in Thailand. Premium quality from Hand Brand, comes in modern, strong, a resealable ziplock package. We also offer fresh lemongrass and we offer lemongrass powder. More information about lemongrass.